PHOENIX – The Winter World Championships hosted 191 teams representing 21 states and two Canadian provinces here in mid-November. The tournament began with the Men’s 65 through 85 age divisions playing Nov. 13-15. Beginning with the Men’s 65 Major Plus Division, Timberworks/Adidas (CA) swept R & R 65’s (CA) in a best two-out-of-three game series. Timberworks cruised to game one win 31-16, before sweeping the series in game two, with a 26-22 victory. Animals (CA) completed a perfect week to win the six-team Men’s 65 Major Division, going 2-0 in seeding play to earn the No. 2 seed, before going 3-0 in bracket play, including a 21-11 win over Rocco’s (AZ) in the championship game. Rocco’s made a valiant run through the elimination side of the bracket, winning four straight games, en route to their runner-up finish. Top seed Arizona Ancient finished in third place. In the largest division of the first session, the 17-team Men’s 65 AAA Division, Last Call (NV) played flawless ball, going 2-0 in seeding play to eventually earn the No. 3 seed, before rattling off five straight wins in bracket play, including a 21-10 win over Scrap Iron Diamonds (CO) in the championship game. Scrap Iron Diamonds bounced back from an 0-2 showing in seeding play, going 4-2 in bracket play en route to their runner-up finish. Both of Scrap Iron Diamonds’ losses came against Last Call. No Guts, No Glory (CA) finished in third place, while OC-Mustangs (CA) finished in fourth place. Scrap Iron 5280 (CO) and Utah Coyotes rounded out the top six teams. In the six-team Men’s 65/70 AA Division, Los Vatos Viejos 65 (AZ) avenged its 22-20 loss in the championship game against Blue Chips 65 (IL), with a 21-16 victory in the “if” game. New Mexico Boomers 65 finished in third place after winning three straight elimination games. The team entered bracket play as the last seed after going 0-2 in seeding play. Omen (CA) swept Enviro-Vac Marauders (BC, Canada) in a best two-out-of-three game series to win the Men’s 70 Major Plus Division. Omen took game one 25-13 and game two 16-12 to sweep the series. After being upset in their first bracket game against Poncho’s (AZ) 15-9, top seed Sidewinders (AZ) won five straight games, including double-dipping Poncho’s, winning the championship game, 16-15 (walk-off in the bottom of the open) and the “if” game, 16-14, in the six-team Men’s 70 Major Division. Trailing 13-11 heading into the top of the open, Sidewinders plated five runs in the inning to eventually hold onto the 16-14 title victory. Midwest Express (IA) finished in third place. In the eight-team Men’s 70 AAA Division, Chicago Strikers entered bracket play as the top seed, following a 2-0 showing in seeding play. The team lived up to its top overall rank, going 4-0 in bracket play to complete an undefeated week, including a 22-21 win over No. 2 seed Git-R-Done (CA) in the championship game. Trailing 21-17 heading into the bottom of the open, Chicago Strikers rallied with a five-run rally to complete the come-back victory for the championship. Bouncing back from an 0-2 record in seeding, Prime Time (CA) posted a 4-2 record in bracket play, including four straight wins in the elimination side of the bracket, en route to their third-place finish. The four-team Men’s 75 Major Division came down to the “if” game, as Sidewinders (AZ) defeated ProHealth Care (WI), 24-9, in the winner-take-all final. ProHealth Care defeated Sidewinders 14-12 in the championship game to force the “if” game. Findlay Scorpions (AZ) finished in third place. Arizona Outlaws took home the four-team Men’s 75 AAA Division, going 3-0 in seeding play to lock up the top seed, before winning three straight in bracket play, including a 22-3 win over Hui Ohana Warriors (HI) in the championship game. Hui Ohana won back-to-back elimination games after dropping their first bracket game, en route to their runner-up finish. Triple Play (CA) finished in third place. Emerald 80s (WA) swept Top Gun Gold (CA) by scores of 18-16 and 15-14 to win the Men’s 80 Major Division. In the four-team Men’s 80/85 Gold Division, Scrap Iron Gray Berets 80 (CO) came back to defeat Git-R-Done 80 (CA), 24-13, in the “if” game, after dropping the championship game 15-11. Sidewinders 80 (AZ) finished in third place. 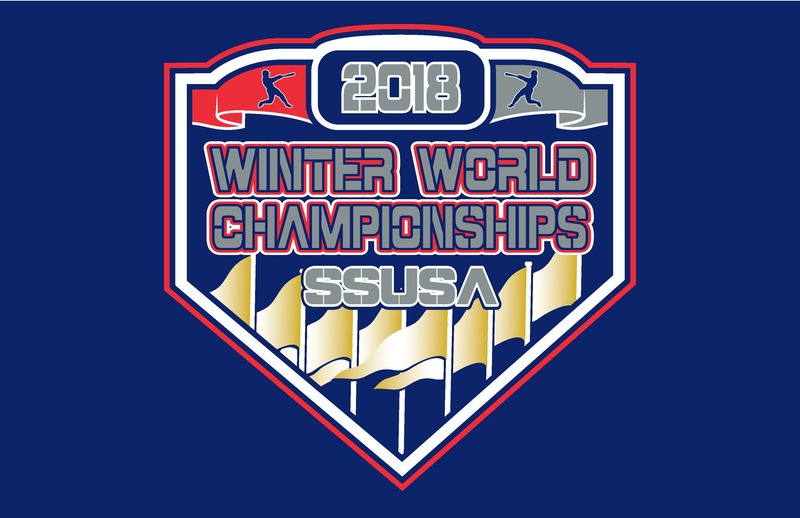 The Winter World Championships continued with the Women’s 40 through 70 age divisions, as well as the Men’s 40 through 60 age divisions, playing Nov. 16-18. Beginning with the three-team Women’s 40 Major Division, top seed Colorado Ohana breezed through the bracket, defeating Wikkd (CA) 16-4 in the championship game. The victory capped off a perfect weekend for Colorado Ohana. Get Dirty (NM) finished in third place. In the 10-team Women’s 40 AAA Division, TABU (CA) escaped the elimination side of the bracket with three straight wins to reach the championship game. Needing to continue to win out, TABU did just that, double-dipping Tharaldson Softball (NV) 15-9 and 26-25 in the championship and “if” games, respectively. Trailing for most of the “if” game, TABU tied the game at 20 all with a five-run bottom of the sixth. Heading into the open inning, Tharaldson plated five runs to regain the lead 25-20. It would not be enough; however, as TABU would strike back with a six-run bottom of the open to take the title. Tharaldson defeated TABU earlier in the bracket, 18-14, to knock the team down into the elimination bracket, setting up the team’s gauntlet run of five straight wins on Championship Sunday. Top seed Straight Pride (CA) finished in third place. Stix With Impact (CA) posted a perfect 3-0 record in bracket play to win the three-team Women’s 50 Major Division, including a 15-11 win over Arizona Dream Team in the championship game. LOL-Legit Ol’ Ladies (CA) finished in third place. Playing a best two-out-three game series in the Women’s 50 AAA Division, Motown Magic (MI) outlasted NW Lady Legends (WA). Game one saw Motown Magic strike first, taking the 24-19 win. NW Lady Legends evened the series with a thrilling 20-19 win in game two, forcing the third and decisive game. In the rubber-match, Motown Magic took the home the championship with a 17-9 win. Top seed Ladies Choice (CA) put on a flawless performance, going 2-0 in seeding play, and 3-0 in bracket play, including a 14-13 win in the championship game against 2nd Wind (CA) in the five-team Women’s 60 Division. SkorMor (AZ) finished in third place after winning a pair of games in the elimination side of the bracket. In the five-team Women’s 70 Division, top seed Southwest Dream Catchers (NM) won three straight elimination games, including a double-dip of LV Neons (NV) in the championship game (13-11) and “if” game (19-12). LV Neons defeated Southwest Dream Catchers, 7-1, earlier in the bracket to knock the team down into the elimination side of the bracket. Saints Express (CA) finished in third place. In the four-team Men’s 40 Major Plus Division, top seed GTS (ID) went undefeated, going 3-0 in seeding, before capping off the tournament with a 3-0 record in bracket play, including a 42-39 comeback win over Automatic (NV) in the championship game. GTS trailed by 12, 39-27, heading into the bottom of the open, where the team put on a furious 15-run rally to complete the walk-off comeback victory. Automatic fell to GTS, 34-22, in their first bracket game, before winning back-to-back elimination games to reach the championship. Pony Tail Express (CA) finished in third place. The largest division of the second session featured the 17-team Men’s 40 Major Division. FunHavers (AZ), the No. 2 seed in the bracket, punched its ticket to the championship game with four straight wins in bracket play. Their opponent in the championship was a familiar one, as the game featured a re-match of an earlier meeting, that saw FunHavers defeat Blue Pill Mafia/QOS Networks (AZ), 23-21. Falling into the elimination bracket, Blue Pill Mafia rattled off three straight wins to secure their spot in the championship game, where the team would avenge its earlier loss with a 30-20 win, forcing the winner-take-all “if” game. However, FunHavers would have the final say, taking the “if” game in dramatic fashion, 14-13, via a walk-off two-run homerun. Homies (AZ) finished in third place, winning three straight one-run games to begin bracket play, before dropping back-to-back games. Bad Seed (CA) finished in fourth place following a three-win run through the elimination side of the bracket. T’s Train/Integra (AZ) also made a strong push through the elimination side of the bracket with three straight wins to be among the final six teams remaining on Sunday. In the four-team Men’s 40 AAA Division, Whatever (AZ) posted a perfect 3-0 record in bracket play, including a thrilling 19-18 walk-off win over Joker’s Wild (AZ) in the championship game. Big Hawks (AZ) finished in third place. The nine-team Men’s 50 Major Division saw the top two seeds square off for the championship. Top seed 4 The Fallen (AZ) got to the championship game unscathed, winning three straight games. After dropping their second game of the bracket against Stadium (CA) 19-17, No. 2 seed Thunderstruck fell into the elimination side of the bracket, where the team won three straight win-or-go-home games to reach the championship game. Fueled by their survive and advance mentality, Thunderstruck edged out an 8-7 win in the championship game for their fourth straight win on Sunday, forcing the “if” game. In the end, Thunderstruck would run out of gas, as 4 The Fallen would take the “if” game, 27-24. Stadium finished in third place. Top seed Grayed & Confused (UT) registered a perfect weekend, going 2-0 in seeding and 4-0 in bracket play, including a 15-13 win over Elite/Scrap Iron (CO) in the championship game of the 14-team Men’s 50 AAA Division. Sin City Warriors (NV) finished in third place. 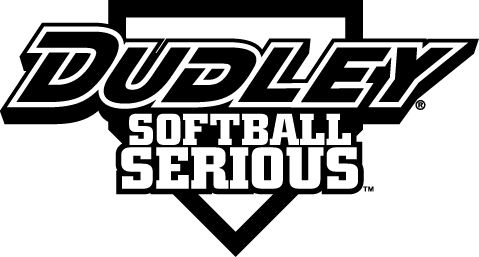 Elite/Dudley (AZ) outdueled So Cal (CA) in a best two-out-of-three game series for the Men’s 55 Major Plus Division. Elite/Dudley jumped out early to take game one, 47-26; while So Cal evened the series with a 25-24 win in game two. The rubber-match saw Elite/Dudley win the final game, 33-28. Bouncing back from an 0-2 showing in seeding play, No. 10 seed Vegas Strong (NV), led by former MLB All-Star and MVP Jose Canseco, posted a perfect 5-0 record in bracket play, including a 29-28 win over JU Entertainment (CA) in the championship game in the 11-team Men’s 55 Major Division. Trailing 22-21 heading into the open inning, Vegas Strong plated eight runs in the top half of the open to go ahead, 29-22. JU Entertainment answered with six runs in the bottom half of the open, as Vegas Strong would hold on for the win. Following an 18-5 loss against Vegas Strong to begin bracket play, Doerflinger (WA) rattled off five straight wins en route to their third-place finish. In another 11-team division, the Men’s 55 Silver Division, Arizona Scorpions completed an undefeated weekend, going 2-0 in seeding play and 4-0 in bracket play, including a 31-11 win against Antiques of Iowa City (IA). Top seed Thunderstruck (AZ) finished in third place. Hawaii Five-O won the seven-team Men’s 60 Major Division, as the team posted a perfect 4-0 record in bracket play, including a 23-14 win over top seed Arizona Old School in the championship game. Arizona Old School had previously won four straight games in the elimination side of the bracket to reach the championship game. Northwest Softball Club/Underdogs (WA) finished in third place. Representing the Great White North in the 14-team Men’s 60 AAA Division, top seed X-Men (BC, Canada) went unbeaten, going 2-0 in seeding play, before rolling through bracket play with a 4-0 record, including a 17-15 win over No. 3 seed CJ & S Express (AZ) in the championship game. After being upset by No. 14 seed Oshkosh Ambassadors (WI), 20-19, in their opening bracket game, CJ & S Express dropped to the elimination side of the bracket, where the team rallied with six straight victories, including a revenge 28-17 win over Oshkosh Ambassadors in the third-place game, to reach the championship game. Weakend Warriors (CA) finished in fourth place. Arizona Ballers made a valiant run through the elimination side of the bracket with three straight wins to reach Sunday. In the nine-team Men’s 60 AA Division, top seed Vancouver USA-Wooly’s (WA) went 2-0 in seeding play and rolled to the championship game undefeated, until falling just short to Los Vatos Viejos (AZ) 17-16 as the division title would be decided by the “if” game. Trailing 13-3 heading into the open inning of the “if” game, Los Vatos Viejos mounted an incredible comeback, scoring 13 runs to take a 16-13 lead. Vancouver USA-Wooly’s would avoid the dreaded double-dip, coming back with a four-run bottom of the open to take home a 17-16 win of their own. All-In (IL) finished in third place, rebounding from an 0-2 showing in seeding play.